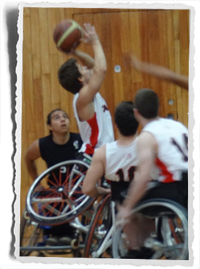 (Mexico City, MEX) Team Canada defeated host Mexico 74-67 in a hotly contested gold medal showdown on Saturday at the Men’s U23 Americas Zone Qualification Tournament in Mexico City. Both teams have qualified for the World Junior Championship in Turkey in September. The match was close from the opening tip off until the final whistle. The lead seesawed back and forth for the entire first quarter with Canada narrowly coming out ahead 17–16. The trend continued in the second frame until Canada went on a 6-0 run in the dying minutes of the quarter to take a 31–25 lead at the break. Mexico clawed its way back in the third quarter and briefly took the lead, while Canada struggled through some foul trouble. Mexico only converted twice on eight attempts from the free throw line as Canada held a slim 48-47 edge on the scoreboard going into the final frame. Both teams frantically traded baskets throughout the fourth quarter at an electric pace, with Mexico responding to every Canadian basket. Mexico managed to tie the game at 63 with three minutes to play before Kevin Wakeling and Reid Richard scored 7 and 4 points, respectively, to seal the victory for Canada. Canada played solid defence to end the game, forcing turnovers with pressure and limiting Mexico to just two baskets. Nik Goncin scored a game-high 28 points for Canada despite being double and triple teamed at times throughout the match. With Goncin receiving the extra attention from the Mexican defence, the remaining Canadian players made them pay by converting on their scoring opportunities time after time. Earlier in the day Brazil defeated Venezuela 68-36 to claim the bronze medal.